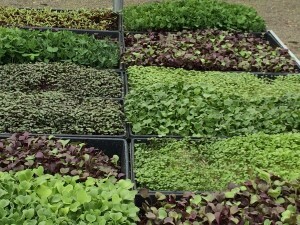 Micro Greens are lush and varied. Packed with nutrition these baby plants are versatile. They can be put on sandwiches, added to salads (or make them a salad by themselves), used in smoothies, stir fried, added as garnish to dishes and the list goes on. Thanks to Joby and Ricky at What’s Up Farm for getting us started on these fun additions to our farmers market display. 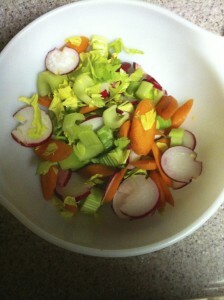 Thanks Steffanie, it looks delicious. Can’t wait to try it.